Are you making the most of your online business presence? Our panel of experts will help you up your game! Melanie McGovern from the Better Business Bureau will tell you how to protect your online business reputation, including the proper way to handle reviews. Jessica Andrews from National Fuel will teach you how to maximize your social media promotion. 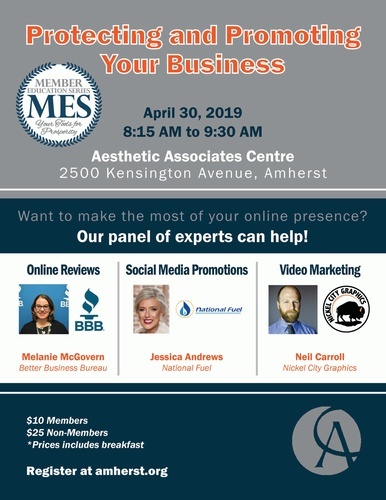 Neil Carroll from Nickel City Graphics will show you how you can incorporate the fastest growing marketing tool: VIDEO!